iOS 12 Jailbreak On The Way - DO NOT UPGRADE TO 12.1.1! Last edited by Heist; 12-06-2018 at 07:31 AM. but ios 12 release on September 17, 2018 but video uploaded on Jun 16, 2018 !! 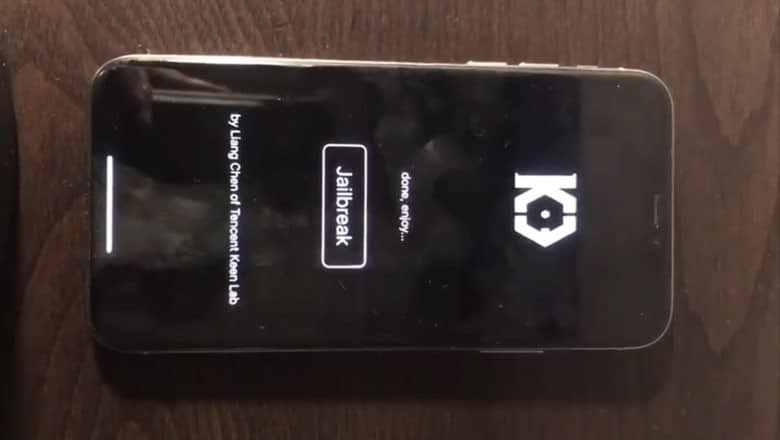 It is only a matter of time when IOS 12.x jailbreak will be out with all the exploits just is a waiting game. I´m on iOs 9.3.3 , do you recomend update to 12.1 before this firmware is not signed anymore...? I would never tell anyone what to or not to do . It is slippery slope. There is lots of vulnerabilities out there no idea when but there will be a iOS 12.x Jailbreak. Many apps will and prob do not work on iOS 9.3.3 so you will have see is it worth it to you. Maybe look for newer device on 12.x And sell yours jailbroken after you Jailbreak a newer one. iPhone XR user missing the JB. The video is simply a proof of concept using the beta in June. Over the last week two major exploits on the RELEASE version of iOS 12.1 have been discovered. One of the exploits is in a holding pattern for 80 days before the developer will publish what it is as they are giving Apple an opportunity to push out updates. Soon may be a bit of a stretch goal. I'd probably put the release window in the 90-day time frame. That depends. I generally never recommend anyone move from a JB'able iOS version to a non-JB'able version on the expectation that a break is coming. i. If you depend on your JB for critical items, customization and hacks, no, stay where you are. ii. If you're on 9.3.3 JB'd - you might as well take the risk and upgrade while 12.1 is still being signed. The revisions in iOS 12 - the speed improvements, UI improvements, more efficient use of memory and compression, etc. found in 12, to me, make it worth letting go of the JB. Not to mention more and more apps are going to stop working, claim they're no longer supporting you, or not allow you to download the latest version because you're too far behind. iOS 13 due later in 2019 is supposed to be a major overhaul in the vein of what iOS 7 was and when that's released, I fully expect an abandonment of 9 users. God I miss the days where you could save your SHSH blobs and reinject them. It allowed us to move up and down to any firmware ver. at our own whim and choosing irrespective of whether Apple was still signing the FM. Ufff, it was a golden era. I miss those days too. Great post! Looking forward to the actual jailbreak. It’s been a long time coming. friends, stay at 12.0.1 or upgrade to 12.1??? Awesome! I’m still on iso 12 but can’t wait for this! Merci ces très apprécier / thank you it is very appreciated.